Since the Fall of 2011, I have been the director of two, highly regarded extracurricular activities at my middle school. I am currently the director of the Northern Virginia Regional Science and Engineering Fair (NVRSF) and the director of the MEH-TV Morning Announcements. This year, I am leading my participating middle school students in the NVRSF, which is a local science fair that will provide students with the opportunity to participate in the (ISEF) Intel International Science and Engineering Fair. The NVRSF is an ISEF-affiliated fair and is the first round of this competition for my middle school students. This competition is significant because it stimulates the curious young minds of my students, and provides them with the opportunity to showcase their talent on a national level. This impacts student learning because students are using inquiry and hands-on investigation in order to make a discovery or solve a problem using science, technology, engineering and mathematics. For example, two of my students are using inquiry in order to conduct an experiment to test the adhesive strength of different types of glue on balsa wood. These students will be using STEM in order to yield quantifiable results. This is significant because science, technology and engineering are basic skills that twenty-first century employees will be expected to have. As the director, I have been the teacher to get my students involved in inquiry-based learning where they can practice problem-solving in a controlled environment. This is significant because when students are provided with the opportunity of choosing their own topics and designing their own procedures, they are more likely to take ownership of their work and become personally invested in learning. This impacts student learning because this science fair project allows students to practice scientific thinking and problem-solving, improvise when a procedure doesn’t work out as predicted, and constructively critique each other’s work. For example, two of my students who are working together on their experiment needed a way to effectively communicate and collaborate on their project outside of school. To solve this problem they performed research and decided to try the Google Docs application to share a common document that they can both simultaneously edit at home. Now, the students can successfully collaborate on their project inside and outside of school. I am the director of the Morning Announcements for my middle school. 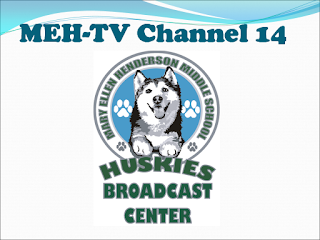 The MEH-TV News Crew is made up of talented and dedicated students who broadcast a live recording of the morning announcements throughout the entire school, every day for an entire marking period. Anyone who shows an interest in the program is selected from an application pool of students who are currently enrolled in my 7th Grade Technological Systems and Careers class. These students are most suitable for this role because this curriculum coincides with the skills needed to successfully operate studio. This is significant because the knowledge and skills that are needed to run the MEH-TV studio derive from the career clusters of Arts, A/V Technology and Communications; Science, Technology, Engineering & Mathematics; and Information Technology, which are all a part of STEM education. This experience impacts student learning because these students are exercising hands-on learning with STEM education in order to produce the morning announcements and give technical assistance to other programs that would like to use the studio’s facilities. For example, by the end of nine weeks, each student will learn how to successfully operate a digital video switcher, an audio soundboard, digital video cameras, and video editing software in addition to improving their communication skills as a news anchor. 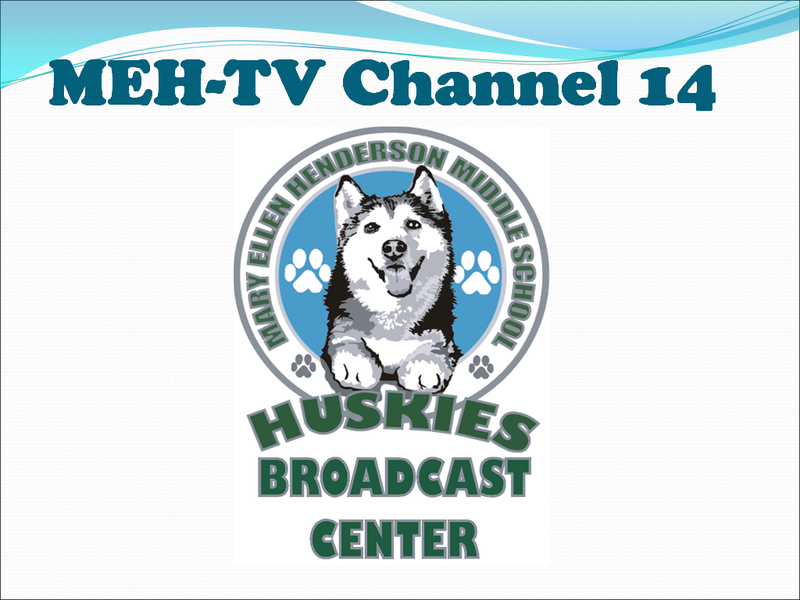 Furthermore, by participating in the morning announcements, these students are empowered by having the opportunity to create video news segments, which require them to operate technical equipment and work together as a team. This is significant because students are able to practice their workplace readiness skills in a monitored and controlled learning environment which will help to prepare them for the work force in the future.